This recipe was inspired by my awesome friend Amy. 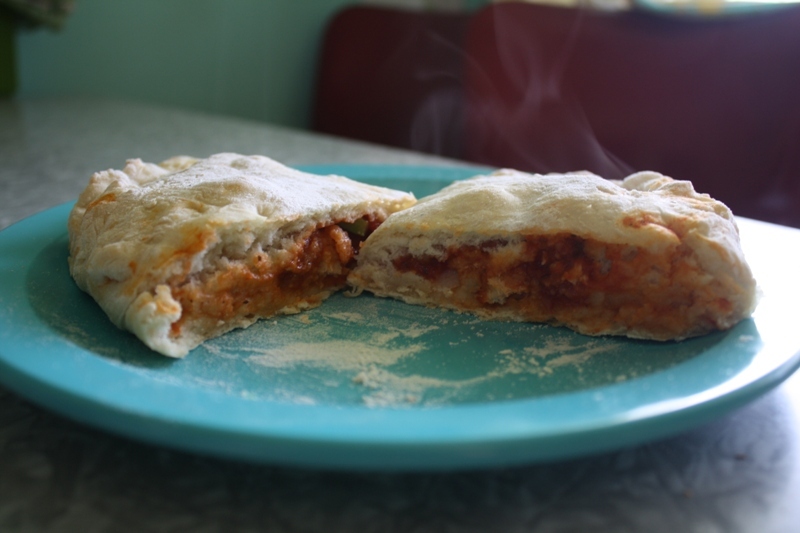 She often makes several batches and freezes calzones individually for her husband to take to work. You can mix and match your pizza filling using whatever veggies you have in your fridge. They are delicious! Preheat oven to 425 degrees. Pizza dough: In a large bowl, dissolve yeast and sugar in warm water. Let it sit for about 10 minutes or until it turns foamy. Add remaining ingredients and mix well. Remove dough and knead it with flour (enough so it doesn’t stick). Let sit for about 10 minutes. Divide dough into 3 or 4 (depending on size you’d like) balls. On a well-floured surface (I used two baking sheets), take each ball and roll it out into a circle. Place pasta sauce on the middle of the dough leaving a one inch space from the edge. Place your pizza fillings over the pasta sauce, fold the dough in half and fold the edges over and pinch them together. 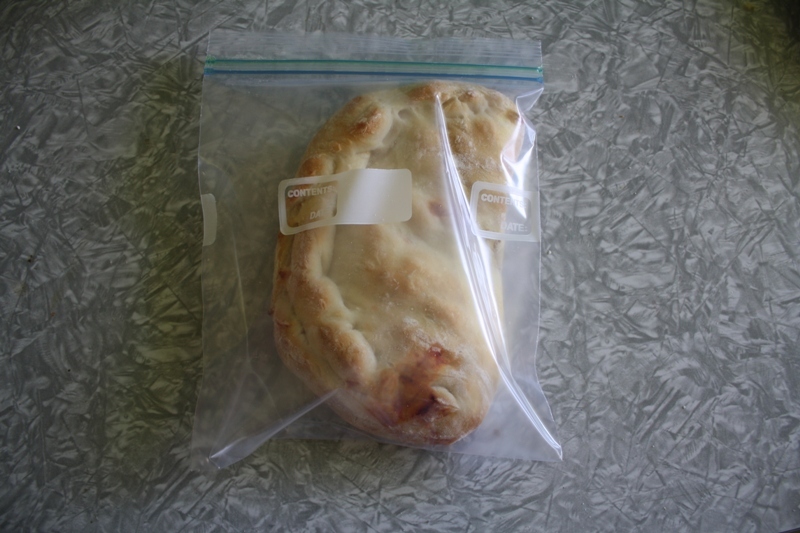 If you have leftover calzones, they freeze fabulously!